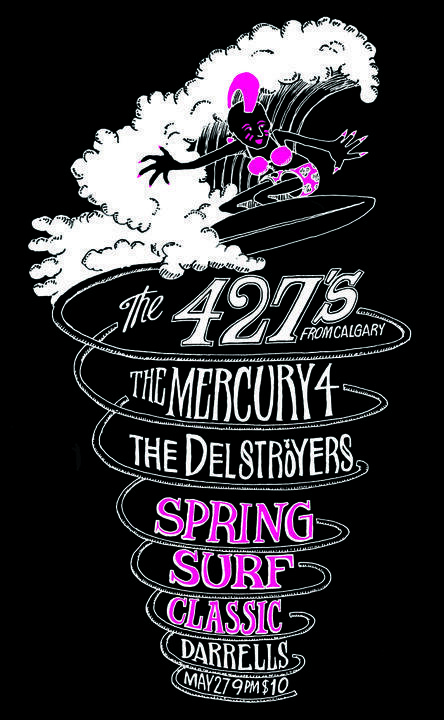 SurfGuitar101.com | News: Stories with tag: "delstroyers"
Please join us as we celebrate our 35th with some great bands. 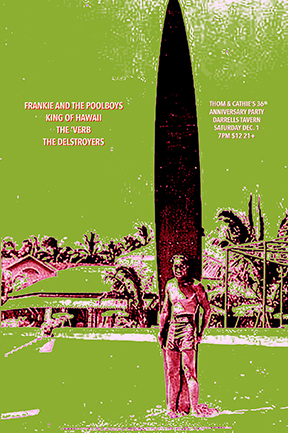 We open with Don and the Quixotes from Portland, The 1Uppers (country), The 'Verb, The Delstroyers CD release party and our headliner Satan's Pilgrims! We start early because we are old. 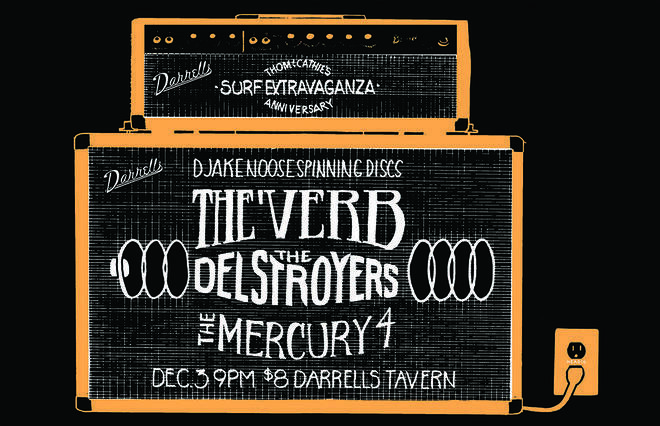 The Delstroyers announce new full-length album "Diabolical!" 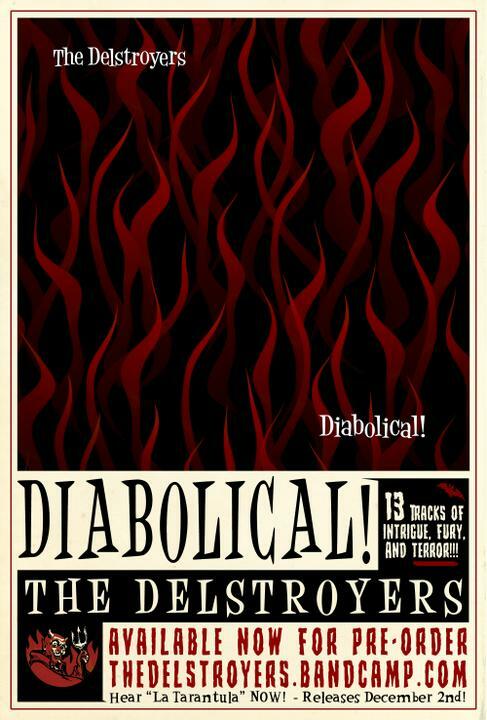 The Delstroyers are proud to announce our new full-length album "Diabolical!" featuring thirteen original instrumentals. Diabolical! 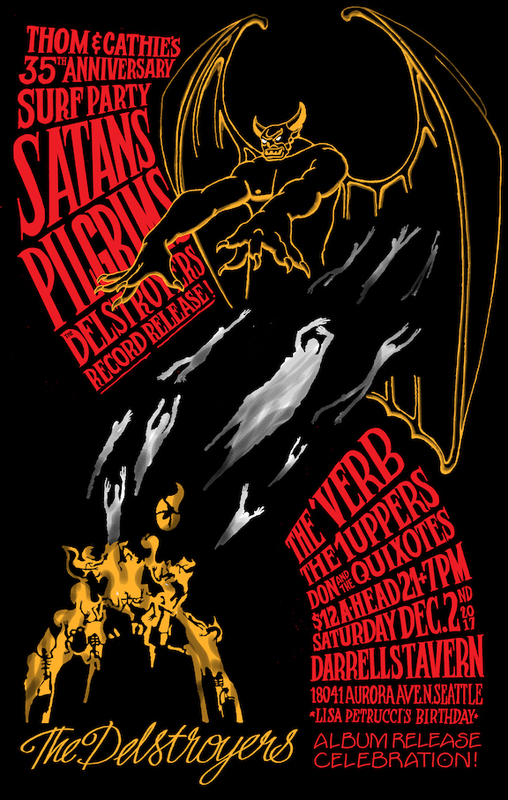 will be released on December 2nd and we are stoked to announce that the record release party is with Satan's Pilgrims, The 'Verb, The 1Uppers, and Don and the Quixotes on Dec. 2nd at Darrell's in Seattle. 21+ 9pm · No advanced tickets so get there early!